Ellie Bicknell was a tri-varsity captain for field hockey, basketball and lacrosse her senior year in high school and played on the varsity lacrosse team at Bates College. Starting in 2013, Ellie continued her participation in athletics as the head coach for JV field hockey and lacrosse at Westminster School in Simsbury, Connecticut before coming to Deerfield Academy in the fall of 2015. Katie Calhoun has coached field hockey at the high school level since 2001. Having coached at programs at NMH, Hotchkiss, and abroad in Santiago, Chile, Katie began coaching at the varsity level at Deerfield in 2007. Katie was a four-year contributing member of the Williams College field hockey team, which reached the NCAA tournament twice during her time there. 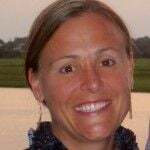 She enjoys most sports and has coached ski-racing, swimming, and lacrosse as well.